Man, I miss the old days of progressive house. I still have this (and many others) on vinyl and this is one of my favorite old school tracks that I'd play today if I was still Dj'ing. I discovered this through GU019. Fantastic track. Quite a minimal progressive house sound with atmospheric samples. Deep, tuneful bass. This is a fantastic deep proggy track from the early 00's, but for those of you that have downloaded the "original mix", you're missing out. The true original mix on the vinyl is a couple of minutes longer with a different arrangement, including a fantastic ambient synth line over the last 3 minutes or so. Why Bedrock chose to rearrange and release an inferior version digitally i'll never understand. Apollo Vibes is a true classic, and is considered by many as a milestone in progressive music. 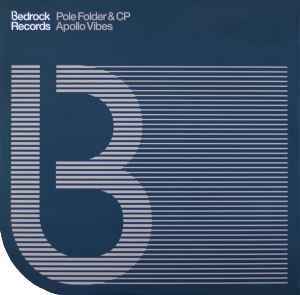 The idea of Apollo Vibes came to Pole Folder after listening to "The Best Of INXS". The only samples he used in this track are the voices (taken from the Apollo 11 mission) and one rhythm. He composed all the other elements himself. Pole Folder and CP started their collaboration with this track. Solid effort, albeit nowhere near the sheer beauty of other Bedrock releases. The original MX has few high points, namely some surprising baseline changes that are hard to pull off in a progressive track, but makes up for its mediocrity by being very mix-friendly. The Young American MX departs from minimalism and layers airy vocals and heavy sampling onto a banging base to create an oddly appealing mixture. Look for the Ocean Wave & John Debo mixes if you happen to especially love this.